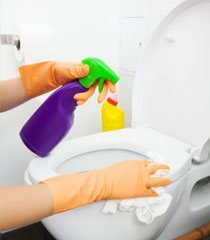 S & P Cleaning Services is bonded and insured. We offer daily, weekly, bi-weekly or monthly services. S & P can clean kitchen sinks, windows, counters, interior glass and more. We also dust ledges, computers, desks and much more. Click here to fill out a job application online! Want more information about S & P Cleaning Services? Contact us and we will respond to your cleaning needs. Sorry, there are currently no news or events, please check back for updates! S & P Cleaning Service Company provides quality commercial cleaning services for businesses and organizations in Bardstown, Kentucky, Elizabethtown, Kentucky and surrounding areas. 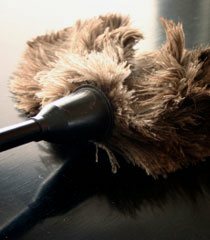 Our commercial cleaning service company provides expert office cleaning and maintenance at reasonable pricing. You and your employees work hard, so let us help keep your office clean for you. When our cleaning crews arrive at your business, you can expect them to be well trained and equipped with the proper materials to clean any type of office building. Our friendly staff would be glad to assist you with your cleaning services needs. Our commercial cleaning services include general office cleaning & building maintenance, floor care, and window cleaning. We provide commercial cleaning for business offices, industrial buildings, medical offices, and more. Give us a call today at 270-766-8417 to schedule your commercial cleaning services. We provide commercial cleaning services to Bardstown, Elizabethtown, Nelson County, Hardin County, LaRue County and Washington County.